It was the prospect of learning more about Spirella that attracted me to drive from Bath to Letchworth – I think all of us of a certain age have heard of the Spirella ladies that used to come and fit our mothers, aunts etc for their corsets, (usually salmon pink). I was not disappointed. We were warmly welcomed to the First Garden City Museum by the curator, Vicky Rawlings who gave us a brief introduction to the Garden City movement. Letchworth was the world’s first garden city – a 1903 Edwardian social experiment that influenced town and country planning around the world. Spirella was one of Letchworth Garden City’s most famous companies. 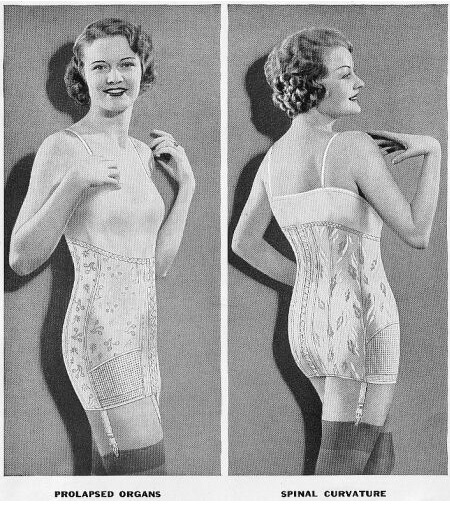 The company had started life in America, and in 1910 the Spirella Corset Company of Great Britain was formed, claiming ‘English womanhood was born again’. 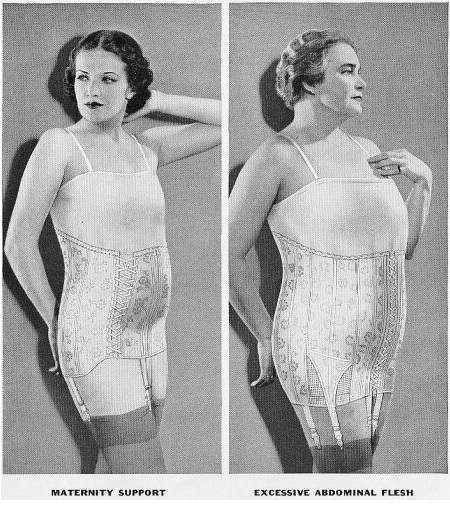 Its success was based on the invention of the flexible stay or what we corset makers now refer to as spirals. The exhibition of the made to measure corsets was small with some interesting archive material, but for me, the most fascinating aspect was a film of a poor A/L (abnormally large) lady being fitted for a fearsome looking corset. We had an interesting walk-about Letchworth with Vicky – it attracted many dress reformists who were drawn here at its inception. A lovely tale was told of someone arriving by train, shocked to see 2 sun tanned children playing on the grass without shoes, gave them money to take home to their mothers who were suitably outraged! In the afternoon we had an interesting visit to Edmund Hunter’s St. Edmundsbury Weavers archive to see some of the finest and richest handloom woven silks. The company was based in Letchworth from 1908 to 1927, when it was bought by Jocelyn Morton of Morton Sundour. Hunter and his son Alec moved to Edinburgh where they set up Edinburgh Weavers.The influence of the Arts and Crafts movement and the move to social change was very evident in all three aspects of our visit – a wonderful day.